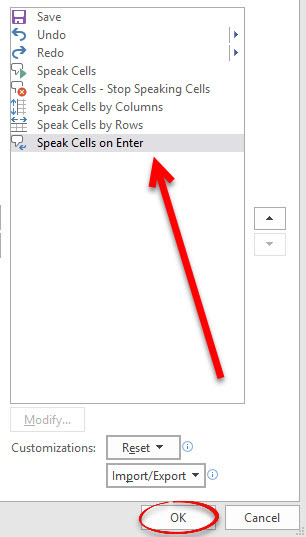 Excel has a feature called Speak Cells, in which the computer will read you the values in your chosen cells. Here's how to access and use Speak Cells. This article shows Excel 2016, but this process also works in Excel 2013 & 2010. 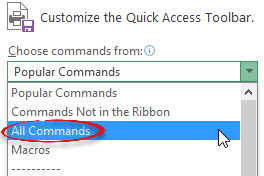 Step 3:Under Choose commands from, choose All Commands from the dropdown list. 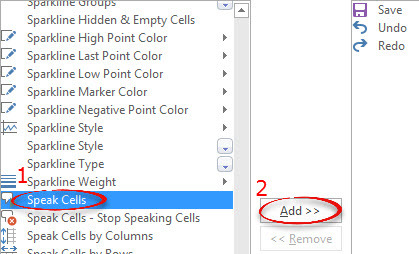 Step 4:Scroll down the list and select Speak Cells, then click Add>>. Step 5:Add all of the other Speak Cells commands (there should be 5 total). Click OK when finished. 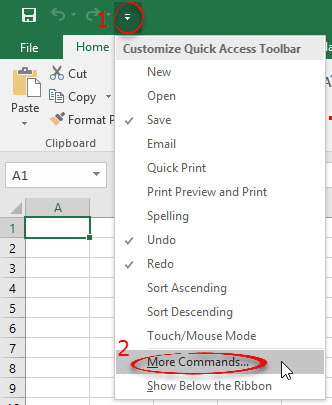 Step 6:You will see the Speak Cells buttons at the top left of the Excel window. Step 7:Select the cells you wish to have Speak Cells read. or Speak Cells by Columns, where the voice will read down the rows first and then across the columns. Step 9:Click the Speak Cells button and the voice will begin to read the cells.